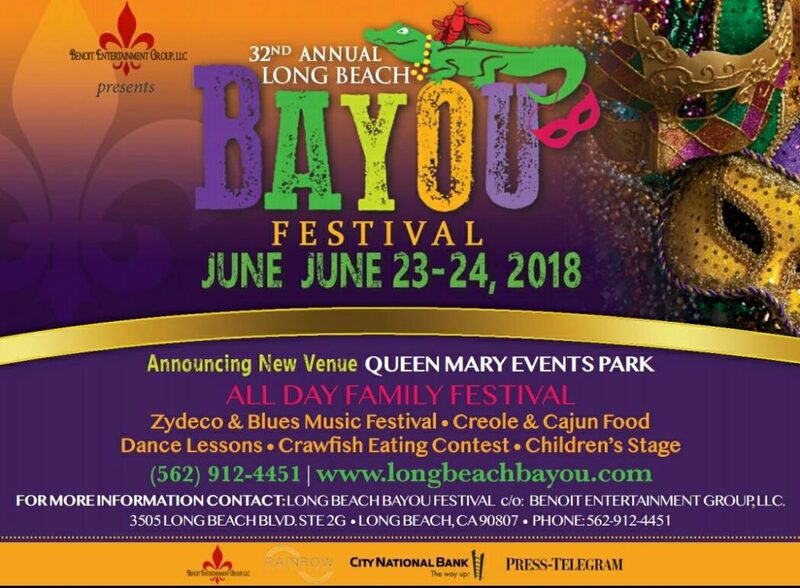 The 32nd Annual Long Beach Bayou Festival | June 23rd-24th, 2018 - TheUrbanMusicScene.com | Concerts & Festivals! Known for top-notch artists in Blues, Cajun and Zydeco and more, the festival features simultaneous stages of music and has plenty of activities for kids. As always the large shaded wooden dance floor will be filled all weekend long. The easy dance instruction for all ages is always a popular feature and includes group participation dances that everyone can enjoy. Children of all ages appreciate the Kids Corner featuring storytelling, sing-a-longs, arts and crafts, magic, and costume and mask making for the Mardi Gras Parade. The Kids Corner also features kids shows and games and activities for older kids are also featured.